The kitchen is the heart of every home, where families busily make meals and create memories. So it’s understandable why it so often tops the remodeled room list. At ProSource® of San Antonio, you’ll find the cabinetry, hardware, faucets, sinks, and countertops needed to completely reimagine any kitchen. It’s easy to recognize the value of new kitchen cabinets in a remodeled space. They provide valuable storage while defining the room’s personality. 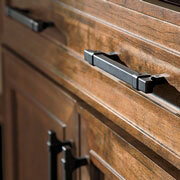 Any kitchen can have a customized look with cabinets available in numerous materials, styles, sizes, and colors. 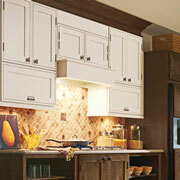 Kitchen cabinets can have a pronounced impact on the visual of the room. Part of that impact is imparted by the hardware used. The pulls, handles, and knobs you choose serve a functional purpose, but also help to tie the kitchen’s decor together. The countertops in any kitchen are one of the most used surfaces in the home. They play host to cooking, cleaning, and even play time. So it’s important to have a durable and easy-to-maintain option, but it can also have a striking appearance. 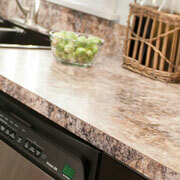 Choose from quartz, granite, or even recycled and blended materials. 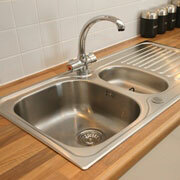 The selection of a new kitchen sink should balance functionality with style. Yes, both can be had. Meet with one of the ProSource kitchen designers to find a single, double, or even triple basin sink in materials like stainless steel and marble. Every kitchen design has a flow, and eventually it leads to where the water flows. 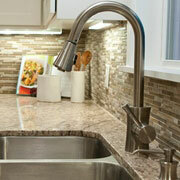 Today’s kitchen faucets highlight the best in function and fashion. Peruse faucets made from a range of finishes and materials.